This entry was posted in 365 Day Photography Challenge and tagged 365 Photo Challenge, dandelion, moms' house, seeds, spring, weeds by Cyndi the BookChick. Bookmark the permalink. Me too! I think they get a bad rap! Great capture, I like this one the best, need to get a macro camera, or do that extension thing I keep reading about. Thanks, Dawn! 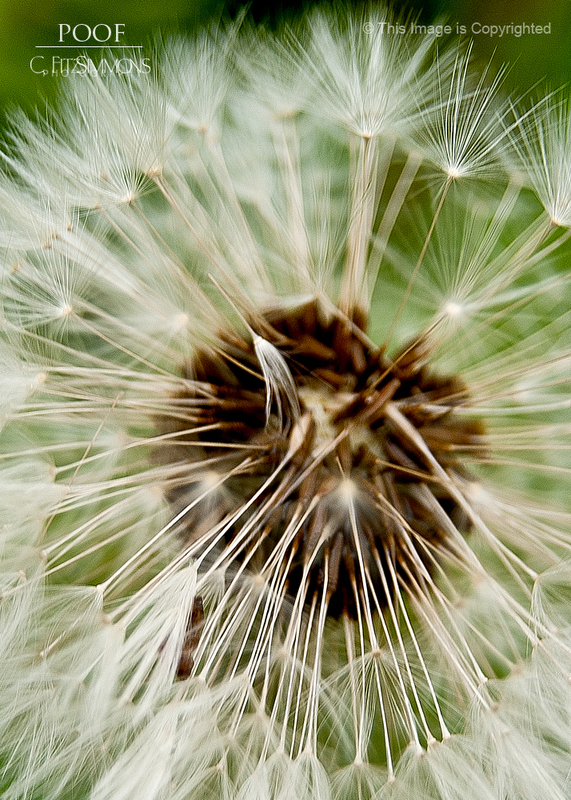 I had three shots of this particular dandelion and this was the best of them. What is the extension thing you are talking about? I’ll have to look it up again to explain it right, but I’ve read and seen macros being taken with “stacked” lenses, here’s a link, I’m going to have to try it. I am going to look into that – I used to flip my Pentax lenses to get extreme macros but my digital won’t let me play with it like that! THis is such an amazing macro, the detail is excellent!! Feels like I can almost touch it! That is such a creative way of saying it! Wonderful!